25 Scenarios completely broken down from a communication and consultation skills viewpoint. Interact, ask questions and learn from the comfort of your own home. Unlimited watch-back for 15 days afterwards. All slides emailed afterwards as well. "Love the way how you simplify the subject"
"Great webinar - succinct and very relevant for PLAB 2"
✓ 25 common areas of communication difficulty and how to overcome. ✓ Examples of how to handle situations - good and bad. ✓ How to maximise opportunities for marks. ✓ Simple techniques to improve your consultation technique. ✓ Fully interactive webinar with questions answered. ✓ Access live from your home anywhere in the world. How do our webinars work? Remember all of our webinars come with an unlimited re-join policy. Book just once and and you will be able to rejoin any future versions of the same webinar… 100% for free. Remember also unlimited watch-back for 15 days after each webinar. Questions - Get in touch! 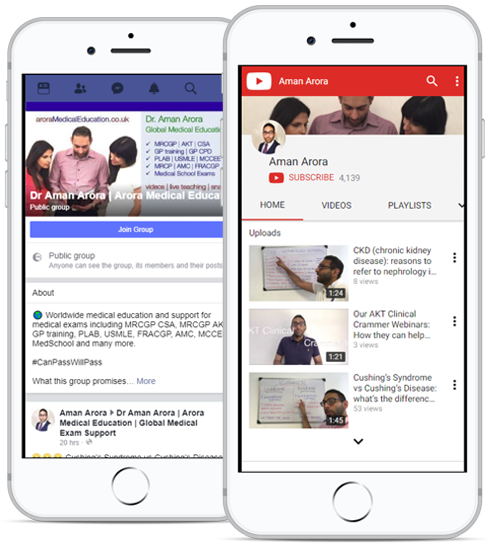 Dr. Aman is an ex-PLAB 2 examiner For probity reasons no actual exam cases or material can be discussed or shared in the webinar.